British Basketball needs to get its act together off the court or risk another funding blank. That is the stark warning from UK Sport chief executive Liz Nicholl after the sport was the main loser in the race for a slice of a new £3 million ‘Aspiration Fund’ designed to help non-Lottery funded sports take aim at the 2020 Olympics and Paralympics in Tokyo. 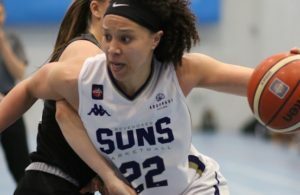 That Great Britain remain long shots to qualify for the Olympics through next summer’s EuroBasket Women finals counted against their bid, Nicholl confirmed. 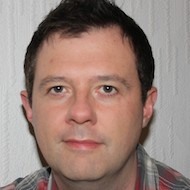 However the BBF might not even be able to access the remaining £305,000 on a financial help package provided last May from Treasury funds if it cannot submit a proper plan for its future, six months after it was told to cease the in-fighting involving England, Scotland and Wales and plot a path to a stability. “We had a lot of applications – and the outcome was 14 sports,” Nicholl said. “We grouped the sports into a table that would indicate the strength of their potential to get athletes qualified to be at the Games. “There are a small amount of sports including basketball where they are further away from that opportunity. There is still lots to do. 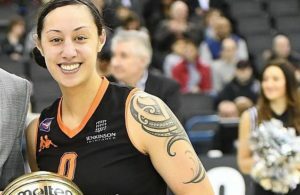 “So, rather than make an investment now and confirming that support, there is an amount that’s been held back to look at it on an event by event basis to see how their journey progresses, particularly for women’s basketball. MVP understands a proposal for a levy on each of the home nations has been put back on the table, just months after the idea was cited as one of the key factors in the reverse takeover of the BBF led by Basketball England chair Clare Wardle. The controversial concept has long been as possibility with a board presentation two years ago underlining it as a necessity to “show the sport believed in the sport” prior to increasing both government and commercial backing. The levy route would prove problematic – with Basketball Scotland’s latest accounts showing a severe decline in their financial reserves to just £7,128. 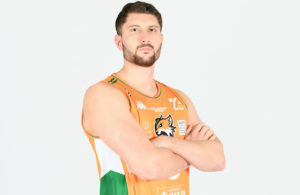 It is thought that the idea of petitioning FIBA to terminate unified Great Britain teams in favourite of a return to three separate sides has gained favour in some quarters of the trio. But for now, the pressure will now be increased on the BBF despite private assurances from UK Sport that the GB Women will receive some of the £118,496 pot left over from the main Aspiration Fund round. 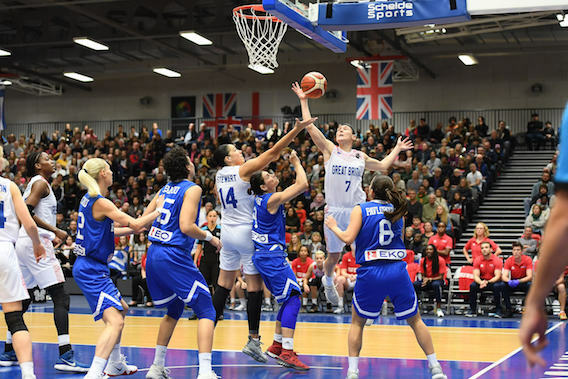 “Naturally we are disappointed not to receive this additional funding to support our successful GB Women’s basketball team in their bid to qualify for Tokyo 2020 and in their ambitions to develop basketball at community level,” BBF chair Maurice Watkins said. “However, we remain optimistic about our chances of a successful (EuroBasket Women). We are looking forward to our follow-up meeting with UK Sport to agree additional support from the remaining funds, and we welcome the news that our qualification potential will be reappraised with the opportunity for more support after the European Championships. Results, especially next summer, now appear now just desirable but a necessity with Great Britain needing a top six finish in Serbia-Latvia to remain in the Olympic hunt.